The electrodes, commonly named grid, are made by a lead alloy frame to improve both strenght and hardness of the grid supporting the so called active mass. This active mass is made by mixing very fine Pb powder with lead oxide (PbO or Pb304) and diluted H2S04. After drying, the mass composition turns basically into lead sulphate and unreacted lead oxides. The final electrodes are formed by spreading the mass over the grids and charging them through electrolysis in H2SO4. This gives rise to the formation of Pb at the negative and PbC>2 at the positive electrode, while the concentration of sulphuric acid increases. During discharge, the electrochemical reactions are reversed, thus producing PbSC>4 at both electrodes, while the acid concentration decreases. • plastic materials to form separator and case. Several years of research have led to a marked improvement of both the quality of the components and the production technology. The battery producers have been oriented to achieve a better performance coupled with an extended life, while reducing costs. In this respect, the environmental constraint has played an important role, as the producers have been forced to use materials more suitable from a technical and economical viewpoint, and easily recyclable as well. Lead accumulators are used in various applications, such as starters of internal combustion engines, electric traction (forklifts, wheelchairs, etc. ), power generation units (power plants, telephone exchange stations, railroads, hospitals, etc.). • casing: a typical material was ebonite, a highly cross-linked rubber featuring high acid resistance and structural strenght. The ebonite case, too, has generated problems to the recyclers because, like PVC, it had to be separated before smelting and also because it was not suitable for recycling. The situation improved when polypropylene replaced the ebonite. Its low specific gravity makes fully possible a separation from other components as well as its recovery with a purity grade that allows its recycling. • the elimination of the space once destined to collect the active mass at the bottom of the battery. These advances have positively influenced not only the way to produce batteries but also the technique of recovering lead and its alloys from spent accumulators. Indeed, the Pb/Ca alloy is produced from soft high-purity Pb and, because of the great affinity of Ca to O2,undergoes a quick modification.Therefore, the treatment time must be as short as possible and the alloy cannot be stored for too long. From the environmental viewpoint, a significant step was achieved by replacing PVC with polyethylene (PE), thus avoiding any chlorine in the air. These batteries, largely used in industrial and consumer applications, have had the same development of car batteries, in spite of the differences between the two classes in terms of size, shape of the electrodes (flat or tubular) and alloy composition. In the near future, sealed lead accumulators, based on the oxygen recombination, will increasingly be used as car batteries (replacement) and in stationary applications as well. The sealed batteries are classified in two categories: one with spirally wound electrodes in a cylindrical metal container and the other with flat plates in a prismatic container. Both are equipped with a pressure valve to release the excess of gas, if necessary. The cylindrical cells vent at high pressures (typically 105 Pa) and are normally referred to as SLA (sealed lead acid), while the prismatic cells vent at lower pressures and are called VRLA (valve regulated lead acid). A minor amount of electrolyte is required by both systems. These new accumulators initially experienced self-discharge problems at the negative electrodes, now solved by removing the excess of oxygen from the plates. Future applications of lead accumulators will include the production of alarm systems and electric cars. In the 90's, the Advanced Lead Acid Battery Consortium (ALABC) was set with the participation of battery producers and lead smelters. The consortium aims at stimulating and co-ordinating the research at global level to produce new batteries suitable for use in electric cars. Higher specific energy, longer life time, reduced initial and maintenance cost are the main targets. These lead accumulators might be a good alternative to other electrochemical systems. Despite its lower energy, the lead accumulator has still remarkable advantages in terms of reliability, cost and recyclability. • assure a reasonable competition. • the labels applied on each battery. In particular the labels should mention: heavy metal contents, requirement of a separate collection and the possibility of recycling. The member states cannot veto, or take any measure to limit, the sale of any battery if it is produced in accordance with the EC Directive 157/91. The italian legislation has adopted the EC directives on environmental protection through the establishment of non-profit consortia. Such consortia are managed by: a) people involved in the production, distribution, use of such goods that later will become lead waste; b) operators in charge of collecting, recycling and/or disposing of the waste. The aim of the the legislator in this field was to maximise waste collection by making it compulsory and to have it recycled by fixing annual targets. For some types of particularly dangerous waste, collection is compulsory and cannot depend on market fluctuations - a bonus is granted for collection. There are currently 5 consortia and the one in charge of lead wastes is COBAT. This consortium takes care of spent lead/acid accumulators and any other kind of lead scrap. This consortium is a non-profit organization participated by private companies involved in any step of the accumulator's life, i.e. • spent batteries and scrap recyclers (50%). The members of the consortium have the obligation to operate solely through COBAT to reach the consortium goals. As it will be later pointed out when reviewing the european scenario, other institutions have been established in addition to COBAT. The italian policy seems to have fully implemented the principle of the 'shared responsibility' vis a vis the environment through the involvement of operators with different, and sometimes opposed, interests. The by-law of the consortium obliges anyone detaining spent lead/acid batteries (and scrap-lead) to transfer them to the consortium either directly or through collectors appointed by COBAT. The accumulators have to contain the sulphuric acid solution. Thus, the consortium grants collection, transfer and recycling of the batteries by means of the structures of its members. In this way, metallic lead and recyclable plastic materials are recovered, sulphuric acid is neutralized, and the final slag is properly land filled. 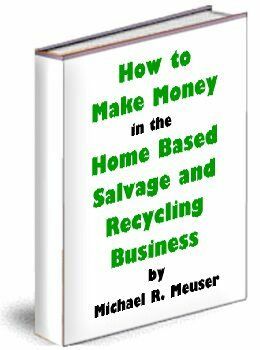 • to advertise the obligation of collecting and recycling spent accumulators. • the levy imposed on each battery collected. Such levy is a key economical tool able to convert into business a simple service activity. All producers and importers working in Italy are subject to pay this levy. The operators appointed by COBAT establish the collection network. They take care of collecting, storing and, in some cases, delivering spent batteries to the recycling plant. This service is provided cost free to waste producers. All industrial, commercial and small companies, whose activity generates used batteries, are compelled under the law to collect and put them into special containers. Furthermore, they must keep note of any used battery on the special book for dangerous waste. The collectors must transfer to the consortium via computer all relevant data, so as to allow COBAT to set up a database (Decobat). In this way, COBAT is able to trace the waste in real time passing from the producers to the recyclers, via the collectors and carriers. Besides its primary collection network, COBAT relies on private and municipal collection structures. 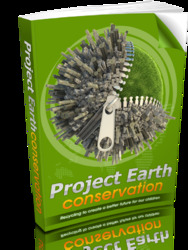 Their nature makes it easy to reach the end consumer and to take care of dangerous waste from the beginning. The collection cost for a car accumulator has been calculated at 0.10 €/kg. This covers all costs, more or less the same throughout the European Union, from the extraction of the battery from the car until delivery at the recycling plant. The main share of the cost is taken by the transport because specially equipped trucks and suitable logistics are required. COBAT collects 176,000 out of 185,000 tons (95%) of used batteries annually produced. It is reckoned that 60-65% of the above amount is composed of metallic lead or lead compounds. Car batteries consist of 150,000 tons of the above amount. The recycling plants provide for neutralisation of the sulphuric acid (30 million litres/year) and recovery of lead (about 100,000 tons Pb) which is then returned to the market. This complete cycle provides several economical and environmental advantages to the community. The battery price is fixed by Cobat and is the same for all recyclers. 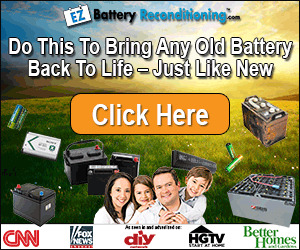 Thus, a procedure has been set up to assign the batteries annually collected to the recyclers. Texeco, an italian consulting company, has been appointed to develop and test this procedure in practice. A mathematical model was developed to evaluate the plants in terms of recycling capacity, care of the workers' health and compliance with environmental regulations.Therefore, the six plants operating in Italy receive their share of spent batteries according to this model. Whenever a facility undergoes a change affecting its productivity, the new scenario is monitored and the relevant annual share is adjusted. The recyclers buy spent batteries from COBAT at a price of 0.06 €/kg. This revenue and the above-mentioned levy allow COBAT to break the balance sheet even, since the collection cost which is kept more or less steady at 0.10 €/kg. • costs for delivering new batteries to the clients, etc. The overall costs of the recyclers amount to 0.44 €/kg, this representing the breakeven point (BEP) for high-level european recyclers. • plastic materials (e.g. ebonite, PVC and polyethylene): 0.18 €/kg. The price difference is due to the different land filling cost based on volume rather than weight. Therefore, a weight unit of slag has a volume corresponding to only a fraction of plastic material with a similar weight. The metallurgical treatment of spent lead/acid batteries, and the recovery of lead metal, benefits the community both in terms of energy saving and balance of trade. The lead price is fixed daily according to the London Metal Exchange quotation and does not change across the European Union. It is customary to set aside for foreign recyclers a small percentage (2-5%) of batteries. Of this amount, italian recyclers have a pre-emptive right to buy, provided the bidding price is the same. All italian plants use a chemical-physical process to separate the solid fraction and neutralise the solution, while a thermic process is used for smelting and refining. Two of them also use a chemical process to lower the sulphur content in the metal, thus reducing emissions released by the molten phase. The italian metallurgical industry has introduced innovative recycling technologies, later adopted in other european and non-european countries. All plants comply with the severe environmental rules and have a total recycling capacity of about 380,000 tons/year of spent batteries. This capacity, largely exceeding the estimated input, ensures the continuing operation if treatment problems arise. The extra capacity is also available to treat scrap-lead and batteries sourced from the european market. Battery recycling creates lead-containing wastes which are classified as dangerous -in particular, smelting slag and slurries from sulphuric acid neutralisation. COBAT supervise the recyclers to ensure that they send this particular waste to landfill or use it according to the law. How to make model of lead accumulator? How to make a homemade rechargeable accumulator? Why lead accumulator is called rechargeable battery? Can the charge on a lead accumulator be recycled?